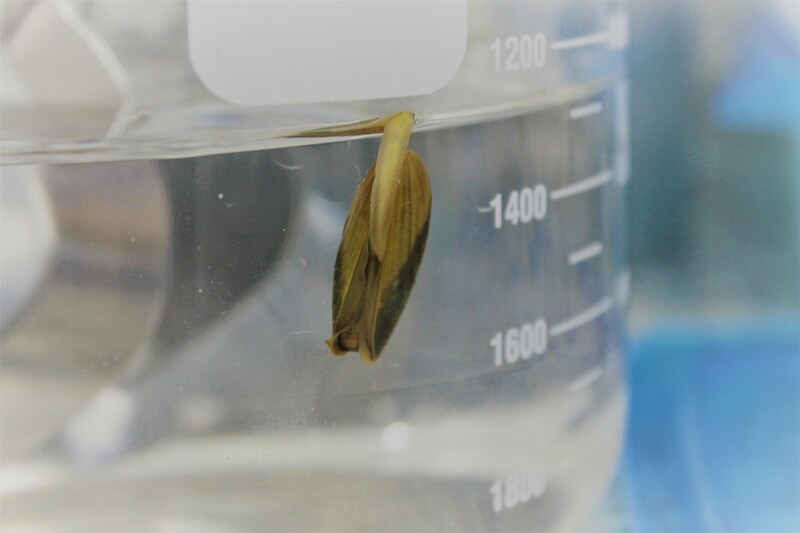 A large research effort is made of small moments. 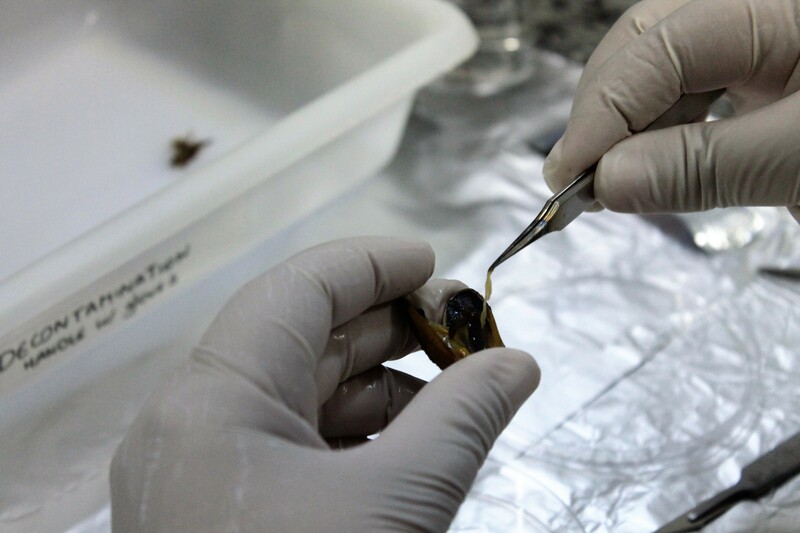 The Golden Mussel is at least 900 km from our lab, so it is not easy to get ‘fresh’ samples whenever we want. But after a few frustrated attempts to extract ‘sequencing quality’ genomic DNA from preserved samples in our -80 oC freezer, we needed the real thing. So we flew in some mussels from São Paulo and had them acclimated in the lab for a few days. This one in the picture bellow was so comfortable that decided to go for a walk, climbing the glass with its adhesive ‘foot’. In our lab, we are bivalve experts. But in spite the golden mussel invasion is a big problem, this beasts are small and dissection is always a challenge. Good that molecular biologist Juliana Americo has steady hands. 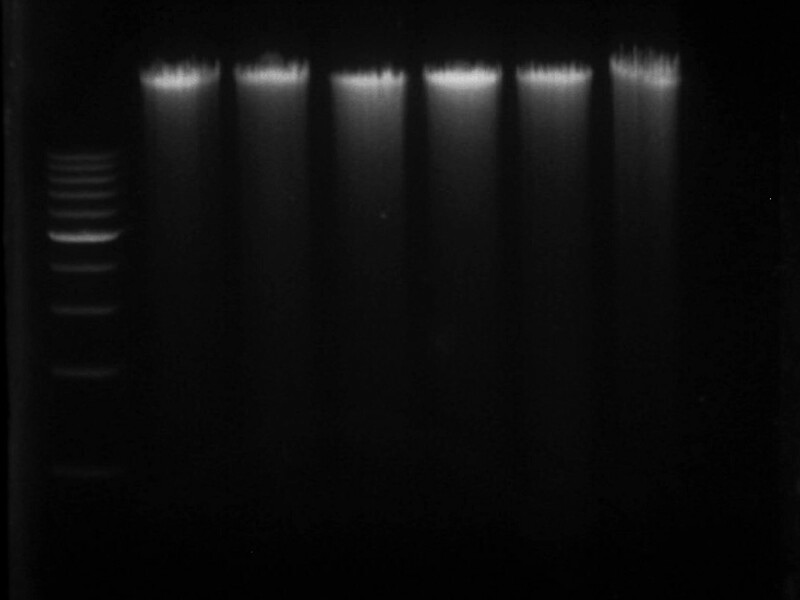 This time the extraction was successful and we have the good quality DNA we needed for genome sequencing. We are still waiting histology to confirm we have material from both a male and a female, since the purpose of this experiment is a gender genomic comparison.